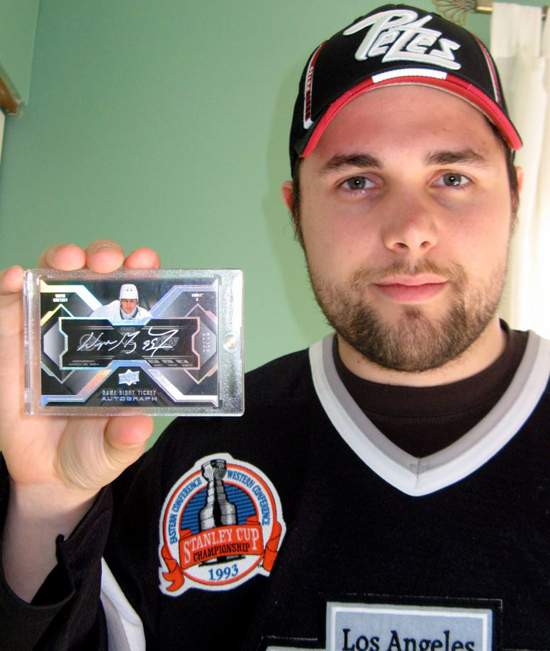 We asked our fans to share some of their favorite Upper Deck NHL cards with us and we were blown away by all the awesome pulls our fans had to share. It was awesome to see that sometimes favorites were not just about the high-dollar cards like we saw with Matthew Gilman. The card(s) I chose definitely won’t be as flashy as others, but they were my first Upper Deck Hockey cards so they matter. I had left hockey for awhile and held onto them. Then when I found Upper Deck’s Facebook page, I made a return. The cards are a Martin Brodeur 90-91 NHL Black Diamond Myriad Level 1 and a Wayne Gretzky 91-92 Upper Deck NHL hologram. Ernest Hebert has a hockey card that is a little different from a set we put out called Champ’s, where the ice meets the Ice Age. He pulled a very rare exchange card for a Fossil card from the set and received one of the better ones in the product, check it out. I can look and look through my collection and this card will always be my most coveted card. It is incredible and the center piece of my collection! Here is my favorite Upper Deck card with its two biggest fans. 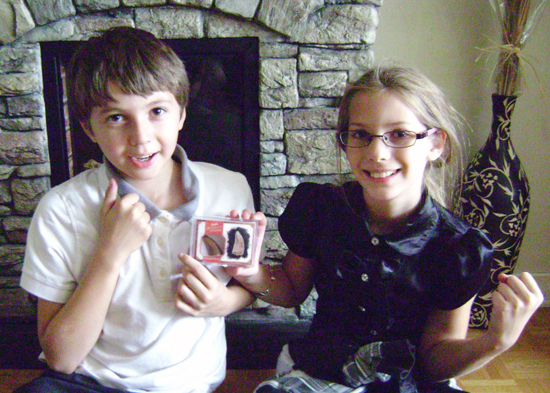 Every time my niece and nephew come over they always ask to see it. It goes to show how fantastic this card really is!!! 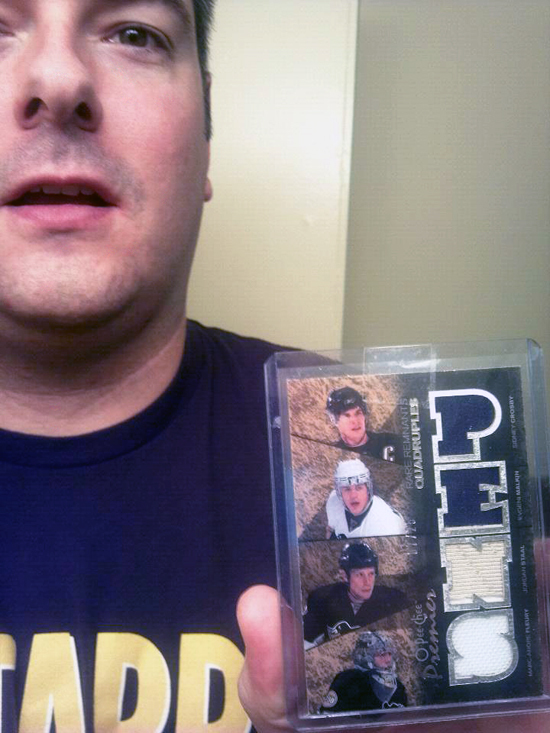 Dantre Tarperson shared a card that helped get him interested in hockey cards, take a look at this one! This is my favorite UD NHL card I own. I got it for what I considered dirt cheap and it pretty much pulled me into collecting hockey cards. It is hard to beat a four-swatch card of four different players. James Arthur had a VERY impressive card to share that would be the centerpiece of almost any NHL trading card collection. My UD Black Game-Night Ticket Autograph Wayne Gretzky card (01/25) is an amazingly sharp hard-signed card commemorating one of the biggest moments of his career, March 23rd, 1994. The Kings played the Canucks and this was the game in which he scored 802nd career goal, breaking Gordie Howe’s record. It was an amazing moment beautifully remembered on an amazing trading card! 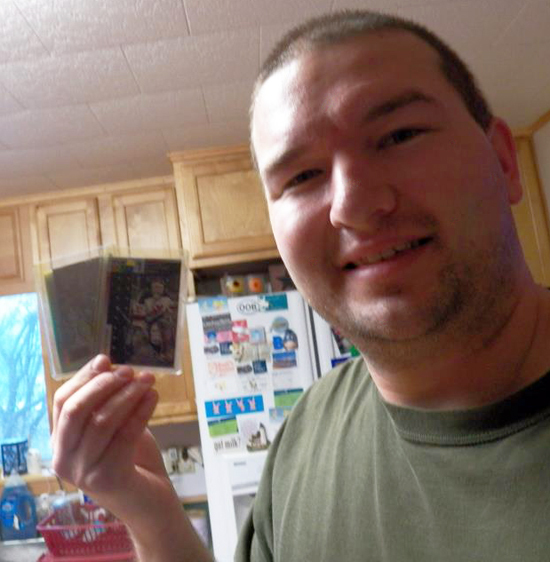 Collecting NHL cards really is a family affair and Mark Grof Jr. proved that when he shared a card his son pulled. This is my favorite card not because of price guide value, but because of sentimental value. It was my son’s fifth birthday and on the way to the Lightning game in Tampa we stopped at Target. We bought a $20 blaster box of Upper Deck he pulled an autographed Steve Yzerman header card numbered 19/25. It was a big day for my little guy. And with the 2012 Spring Sports Card & Collectibles Expo taking place this weekend, Collin Jennings’ card was our favorite of the submissions we received. Some would say he had beginners luck by scoring this card, but we’ll see as Collin will be back at the Expo again this weekend to try his luck again! Here is a picture of my 2011 Spring Expo Priority Signings Sidney Crosby autograph card limited of five. I was enough to pull this at my first ever Expo. This is by far the most sought after card in my collection. The thing I love about the card the most is that I pulled the card myself and didn’t have to buy or trade for it. 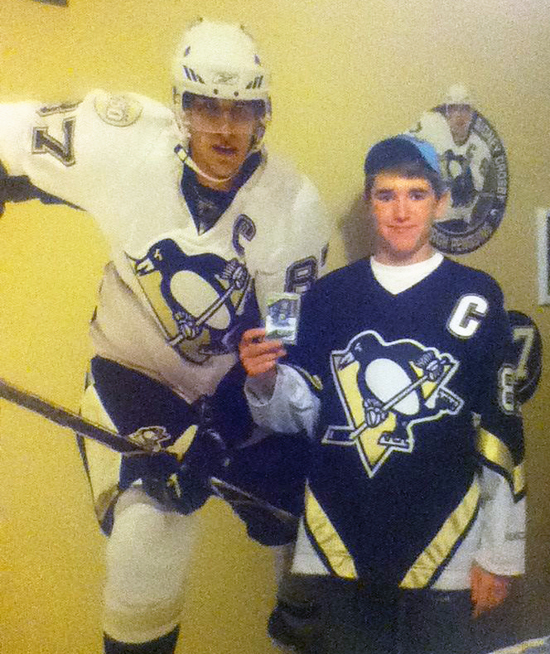 Also, it being a Sidney Crosby autograph doesn’t hurt either. 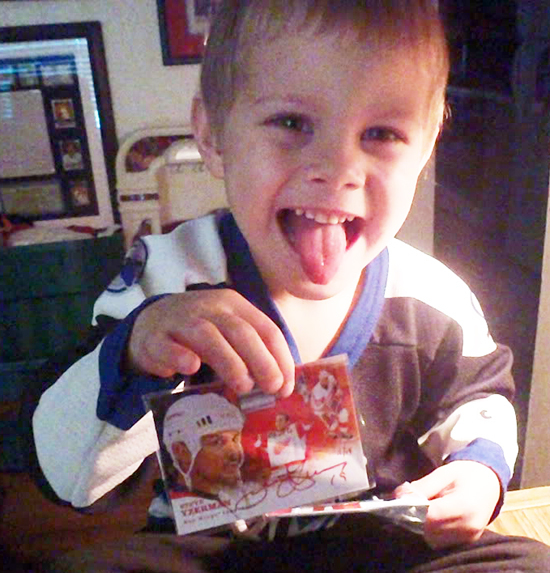 Thanks to all the fans who took time to post some of their favorite NHL cards on our Facebook page this weekend!